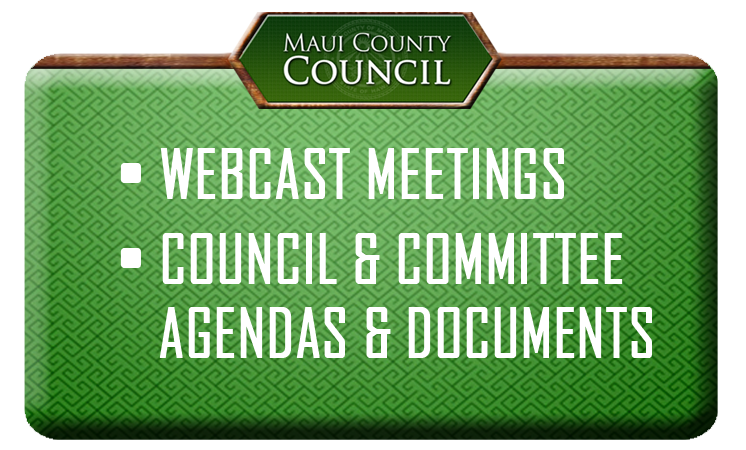 Water and Infrastructure Committee meetings are held in the Council Chamber at 1:30 p.m. on the Monday prior to the first and third Fridays of each month; however, the schedule is subject to change. Amendments to and enforcement of the County Water Code, including the Water Use and Development Plan. County facilities construction and maintenance (including road, bridge, drainage, and waste management systems). Operations and performance audits of the Department of Environmental Managements (except the Environmental Protection and Sustainability Division), the Department of Public Works, and the Department of Water Supply, including the operational oversight of any grants they administer. Implementation of the following General Plan objective: Improve Physical Infrastructure.